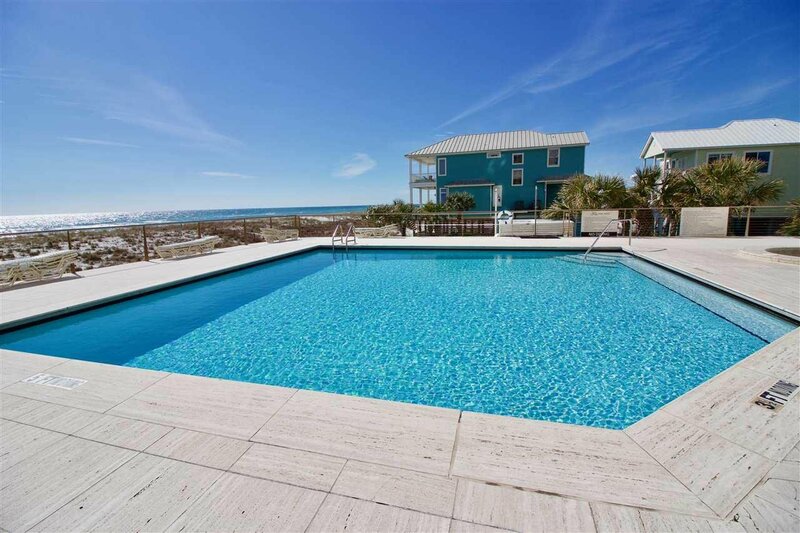 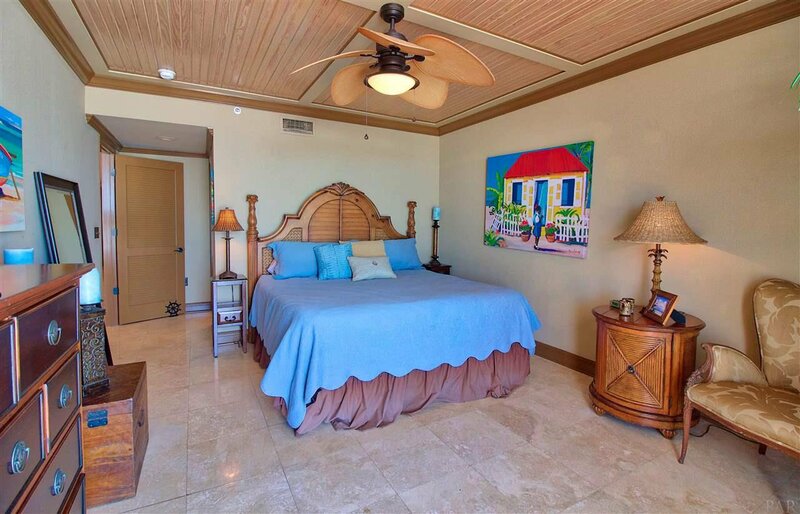 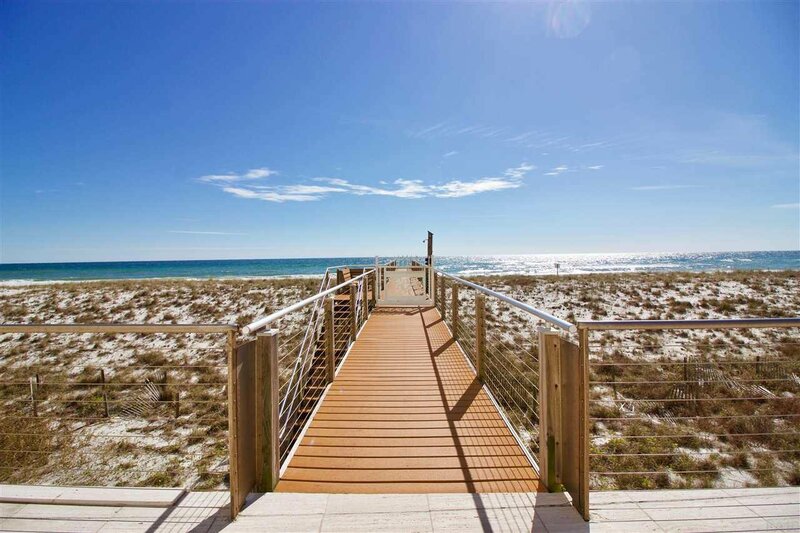 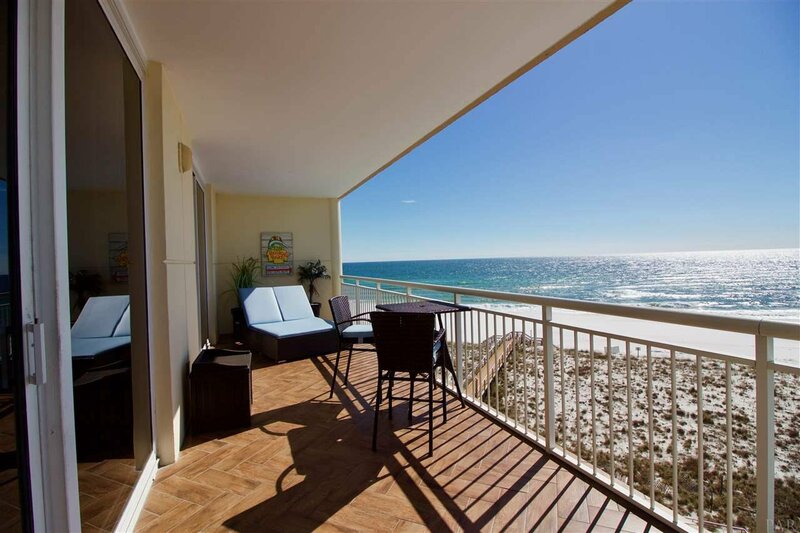 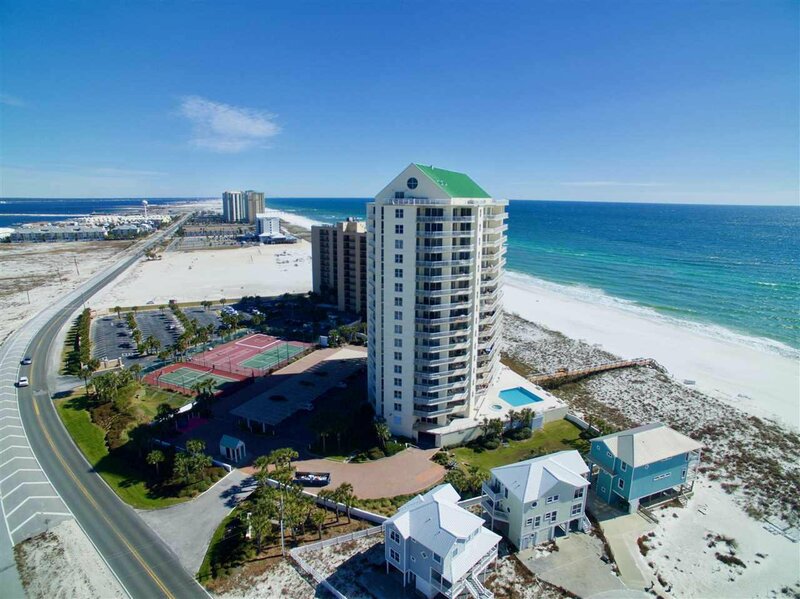 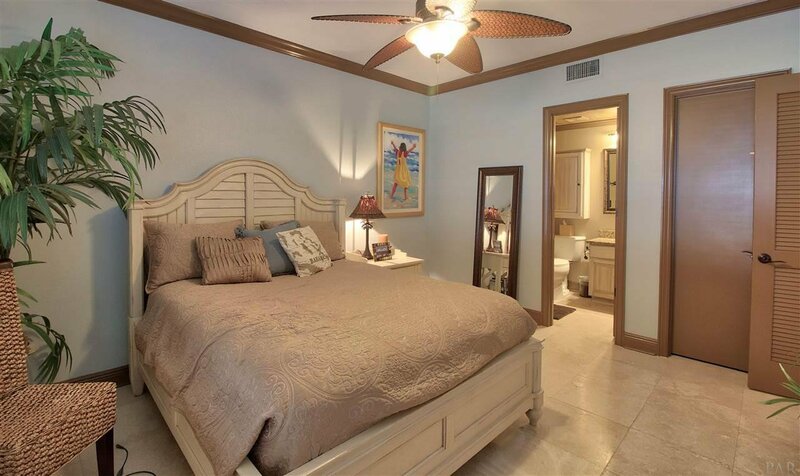 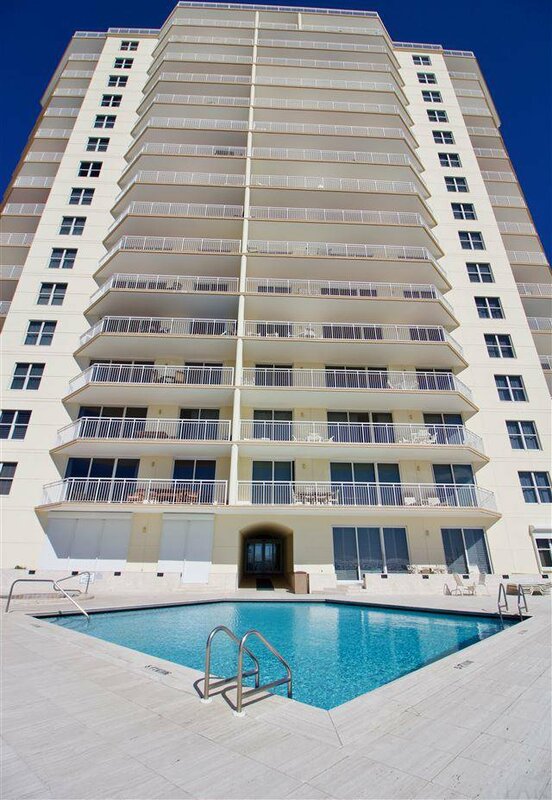 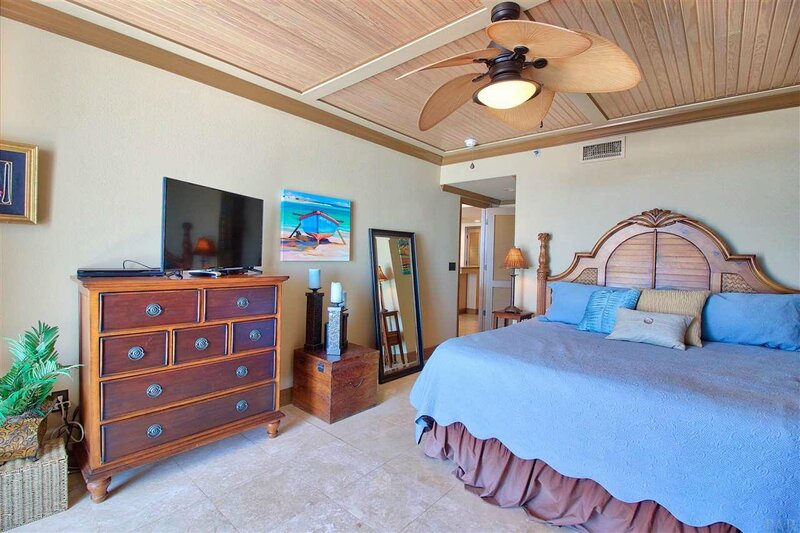 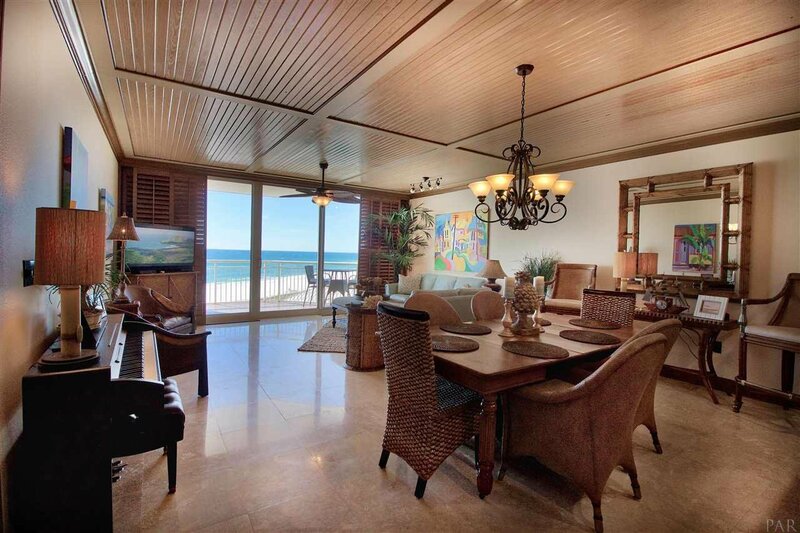 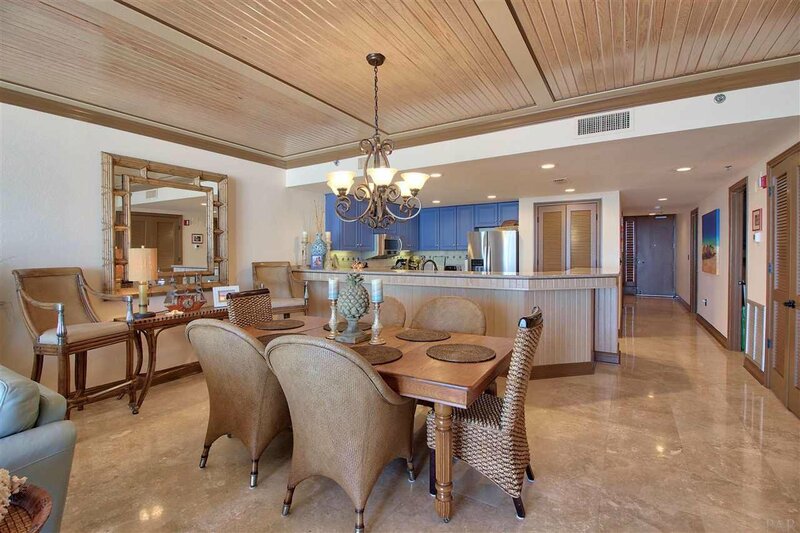 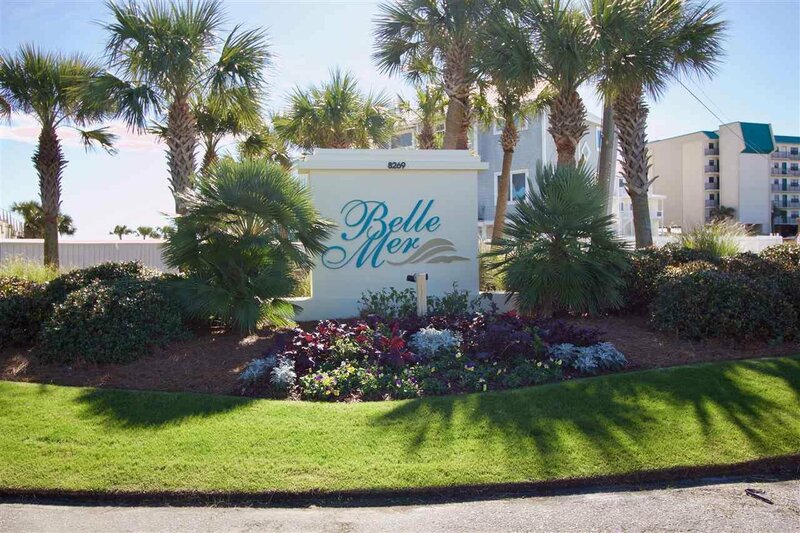 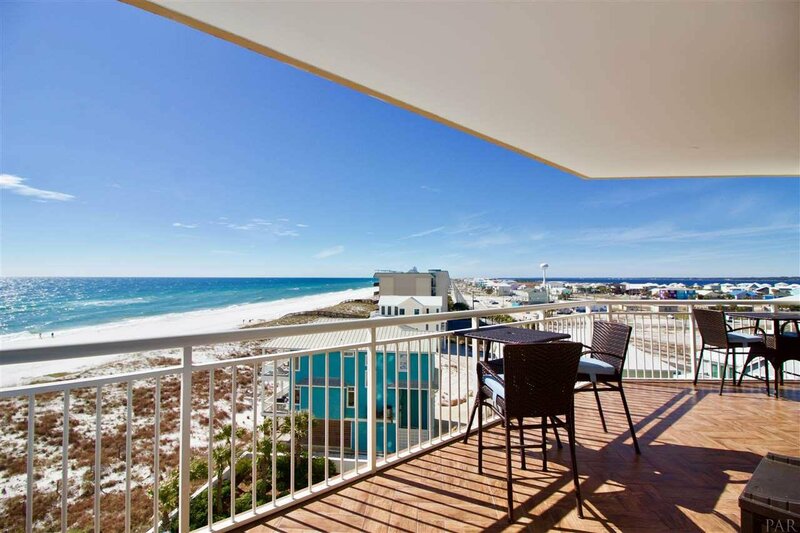 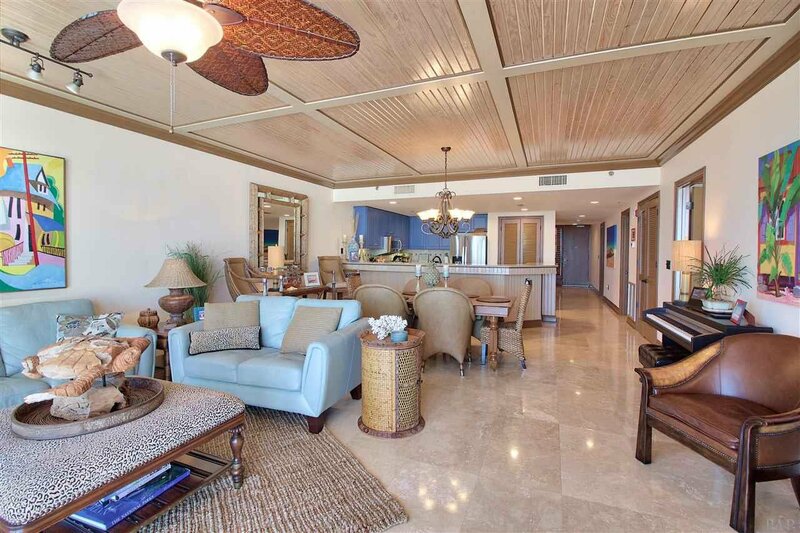 Gulf front finest condo in elite Belle Mer complex. 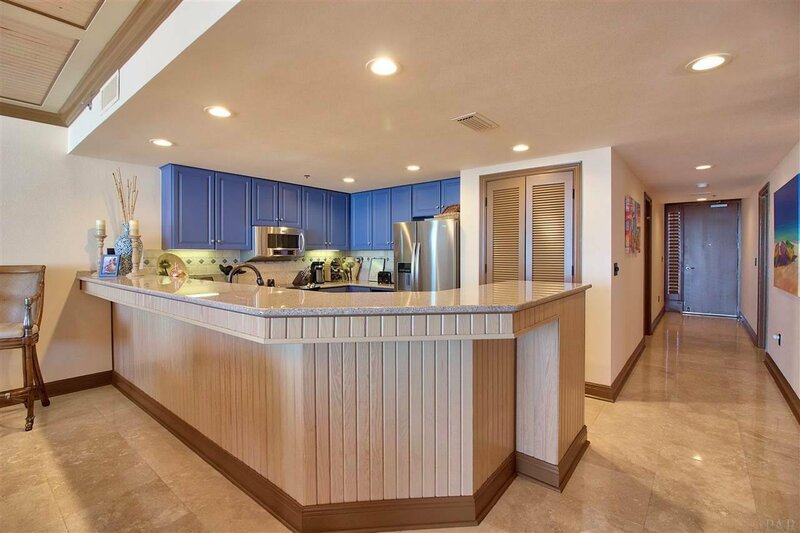 Total designer remodel and upgrade. 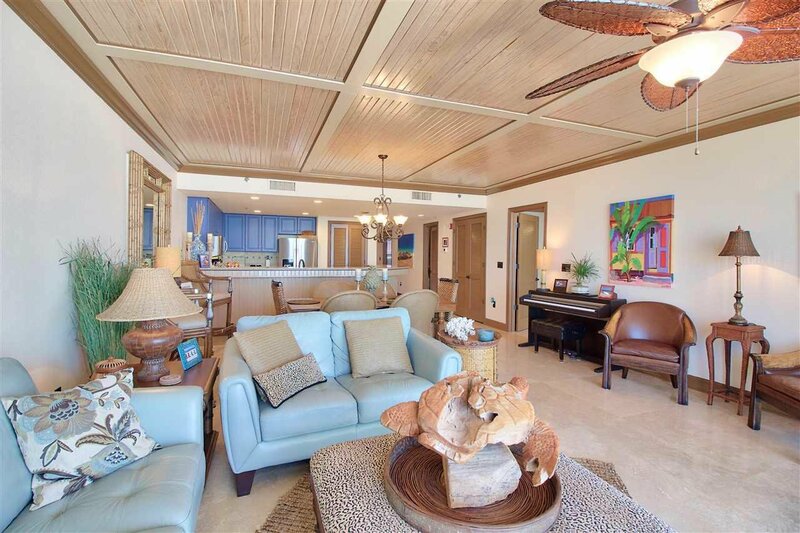 Wood ceilings in gulf front great room and master bedroom. 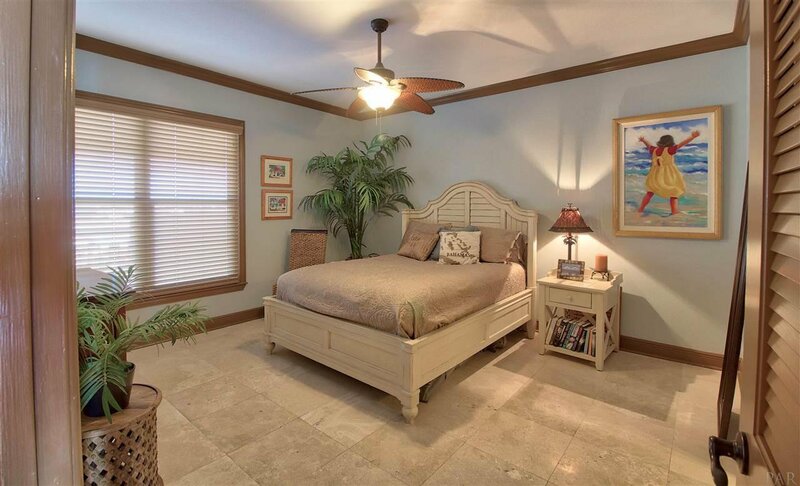 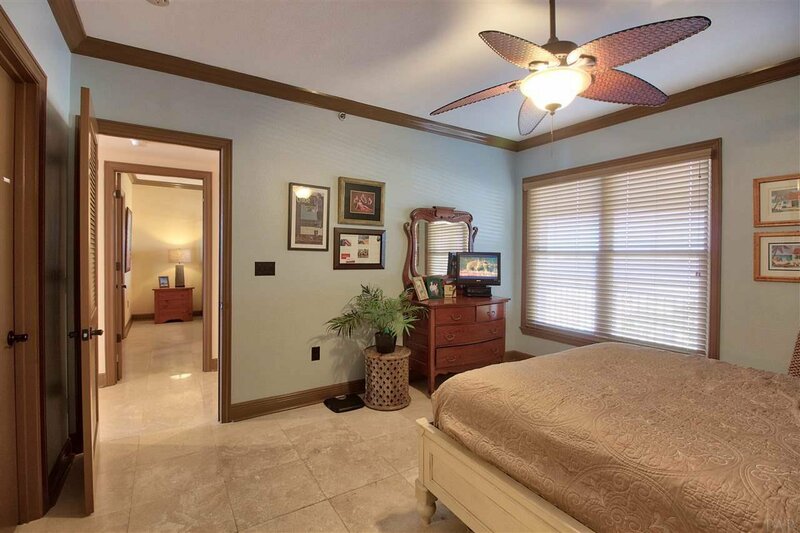 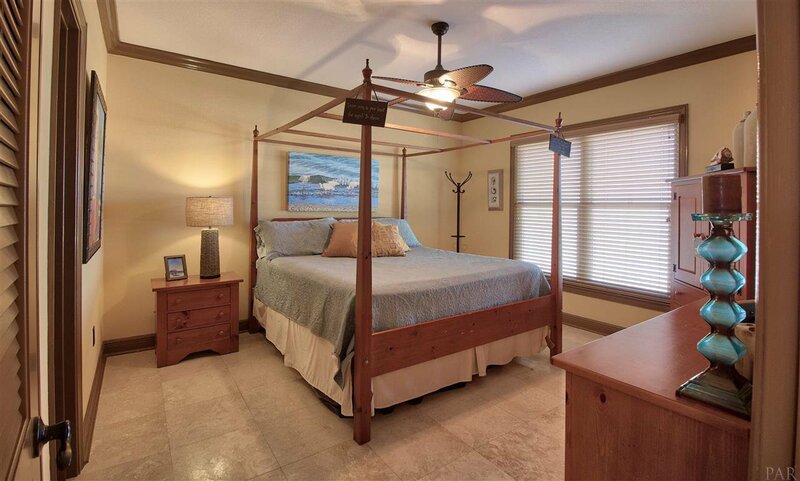 Each bedroom with own private bathrooms. 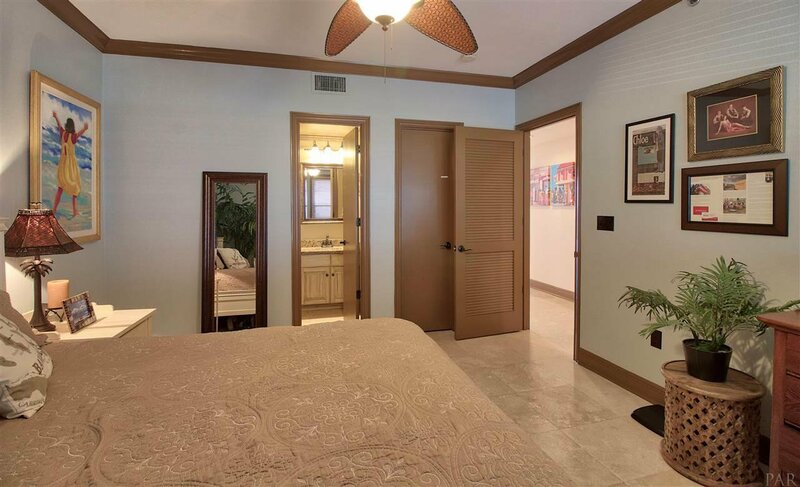 Travertine stone flooring and louvre doors throughout. 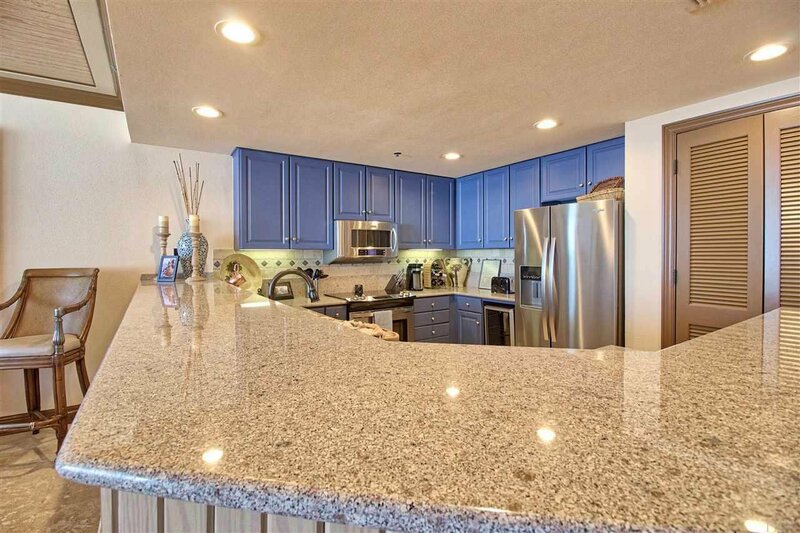 All new fixtures and appliances. 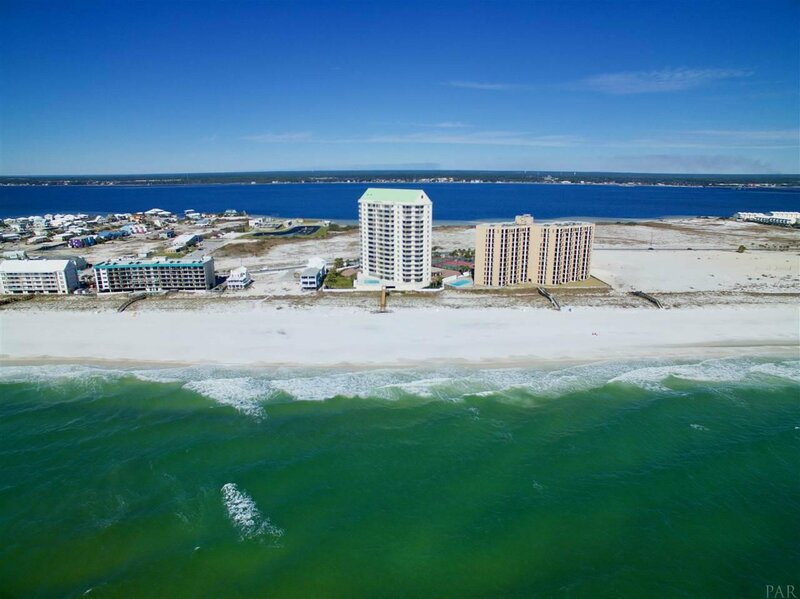 High capacity water filtration for all incoming water. 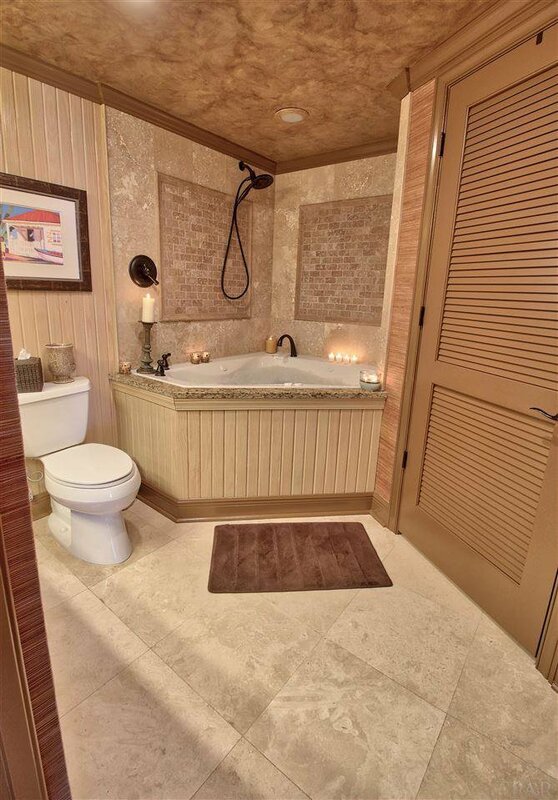 Raised jacuzzi and shower in master bath. 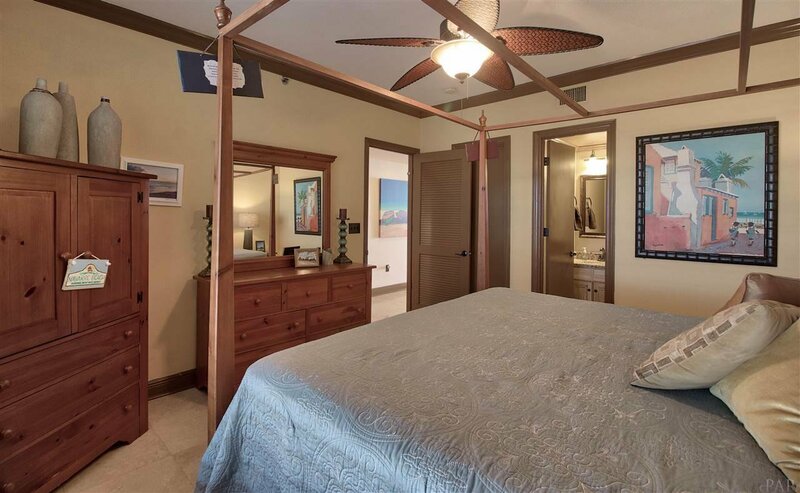 Two master bedroom closets with built ins. 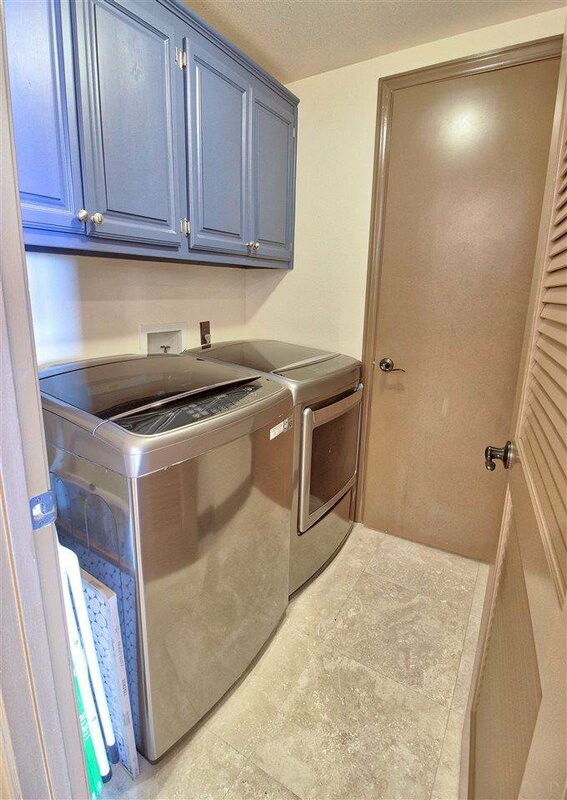 High end steam washer and dryer. 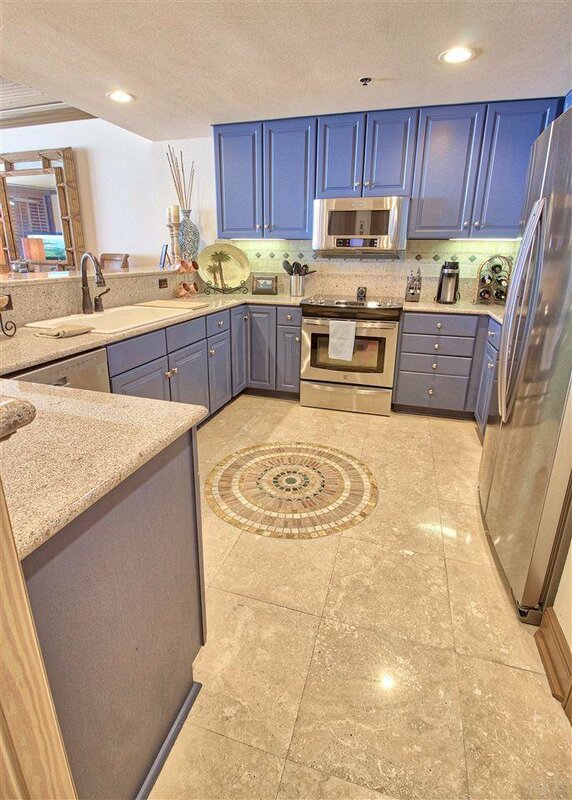 Two oversized pantries in large kitchen. 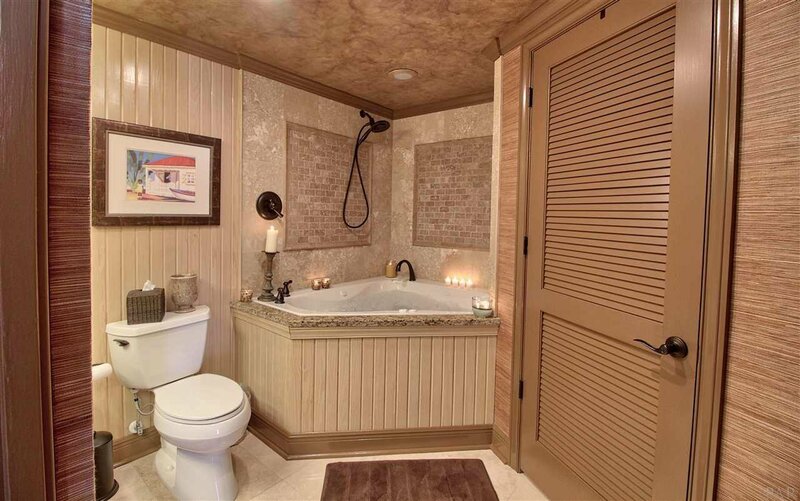 Custom tiled balcony. 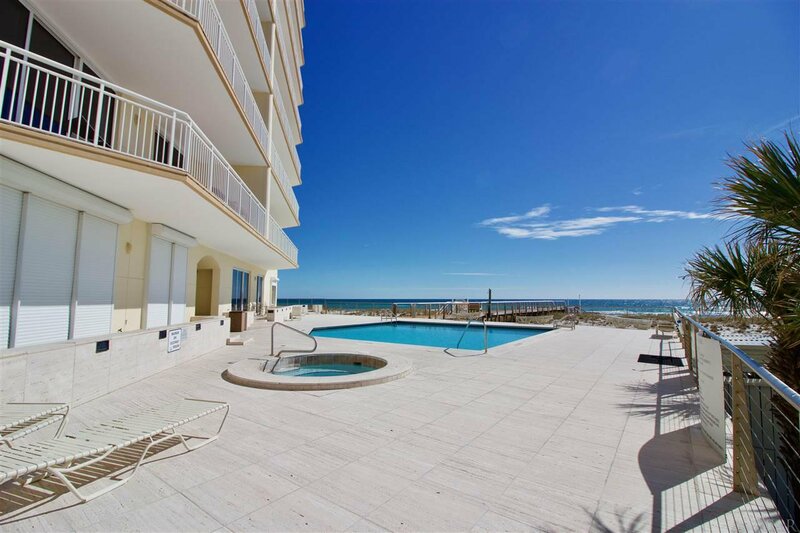 Gulf front pool, fitness room and tennis courts.